Natural Rock formations,Timna natural and historic park, Israel, The Timna Valley is located in the southwestern Arava, some 30 km. north of the Gulf of Eilat. 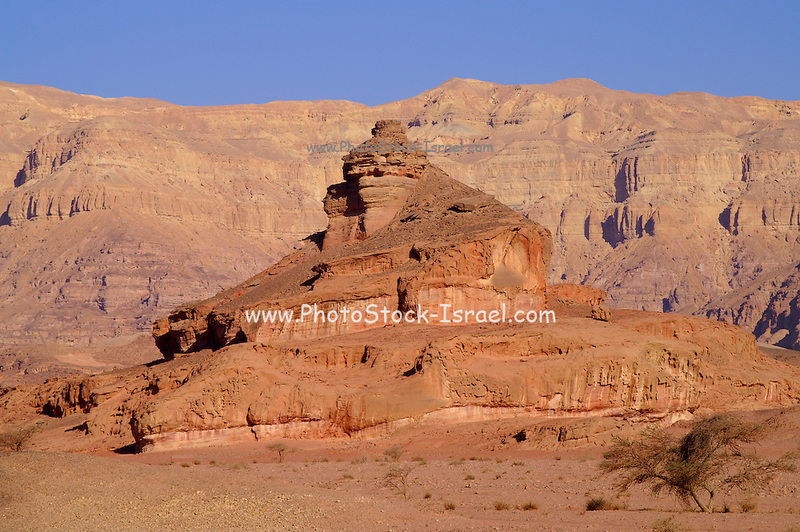 The traces of ancient civilizations are, too, very interesting to look at in Timna. Copper mining was known there at least from the 18th century B.C. Later Egyptians, who conquered the area, made Timna a very important source of copper. There are many ancient copper mines in the valley, some look like holes in the ground, others are caves hewn in stone; in some places, there are remains of copper-smelting ovens. There is a place where you can see Egyptian rock drawings. At the foot of Solomon's pillars there are remains of an Egyptian temple, and above them are two figures, one of them a pharaoh, engraved in stone by Egyptians.